Virtually every cell in a living organism contains an identical set of chromosomes thanks to mitosis, a complex process involving hundreds of proteins and regulatory steps that ensures duplicated chromosomes are segregated equally into each daughter cell when a cell divides. Errors in this process can lead to genomic instability and are associated with cancer and other diseases. 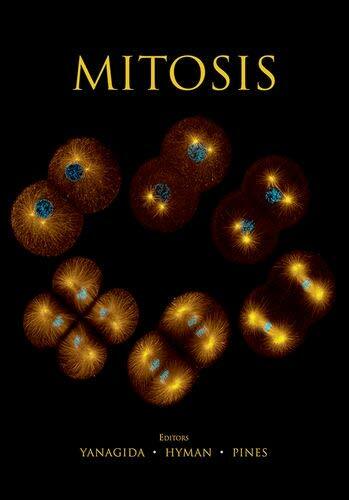 Written and edited by experts in the field, this collection from Cold Spring Harbor Perspectives in Biology covers both historical and recent developments in our understanding of mitosis and its regulation. The contributors describe how sister chromatids attach to one another and to the spindle apparatus; how the spindle microtubules nucleate, elongate, pause, and shrink; and how kinetochores and centrosomes serve as anchor and control points. They also survey the biochemical machinery that coordinates the three main regulatory stages-entry into mitosis, sister chromatid separation, and mitotic exit-in both space and time. The cellular changes that occur during cytokinesis are also reviewed in detail, as are the key differences between mitosis and meiosis. This volume will serve as a valuable reference for all cell and molecular biologists interested in this dramatic phase of the cell cycle.